If you ever doubt that Ugandan musicians are less talented then you should think twice and at least exempt veteran singer Chance Nalubega who dominated the Ugandan music industry for over a decade in late 1990s and early 2000s. Chance Nalubega, like Sheebah Karungi is one of the few female singers who emerged from nowhere and dominated the industry inclusive of the big names like Jose Chameleone, Bebecool, Bobi wine, Ragga Dee and the entire the Eagles Production with artistes like Mesarch Ssemakula, Ronald Mayinja and Geofrey Lutaaya. Reports have it that the beautiful dimpled Chance Nalubega started her music career at an early age of 10. 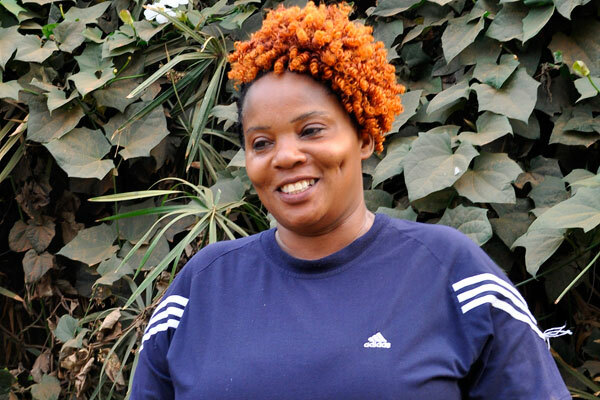 She later grew up as a sole singer and later recorded songs with Kasiwukira’s studio and producer Dr. Tee Kazibwe and this led to her rise to the climax of the industry with monster hit songs like Abennugu, Balinsekerera, Nywamu, Abalungi Balumya, Omusheshe anjagala, Abatesi which she recently remixed with the dynamic duo Radio and Weasle, Sweet Nkwagala, Akagambo love, Nsula eyo among other songs. She is the founder of Goniba Band and she is one of the artistes who performed and attracted huge crowds in other countries where she performed and these included South Africa, Botswana, Tanzania, Kenya, USA and United Kingdom. And this year 5th May, the talented Chance Nalubega will bounce back at Serena Hotel performing for her fans alongside veteran singers like Moses Matovu, Joanita Kawalya, Racheal Magoola, Eddie Yawe and the entire Afrigo band. According to information from trusted sources indicates that this year’s Tugende Mu kikadde will also feature beautiful artistes like Sam Gombya and his longtime wife Sophie Gombya of the “omuko” hit song, Matendo’s Lord Fred Ssebata among other singers. 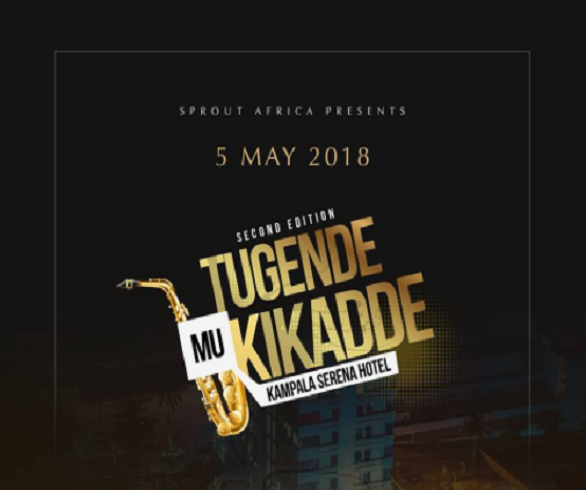 Tugende Mu kikadde will happen on 5th May 2018 at Kampala Serena Hotel where music fans will gather to celebrate veteran musicians and the monster hits that left Uganda a better place to be, Entrance will be 100,000 shillings VIP and 3000,000 a VVIP table. This year’s Tugende Mu Kikadde Vintage show is proudly sponsored by Kampala Serena Hotel, Sprout Africa, Capital FM, Africell, Silk Events, Beat FM, NBS TV and Flash Uganda Media..
Keep it Flash Uganda Media for more updates. Next articleCoca Cola and NBS TV unveiled as official sponsors of Tugende mu kikadde season 2.